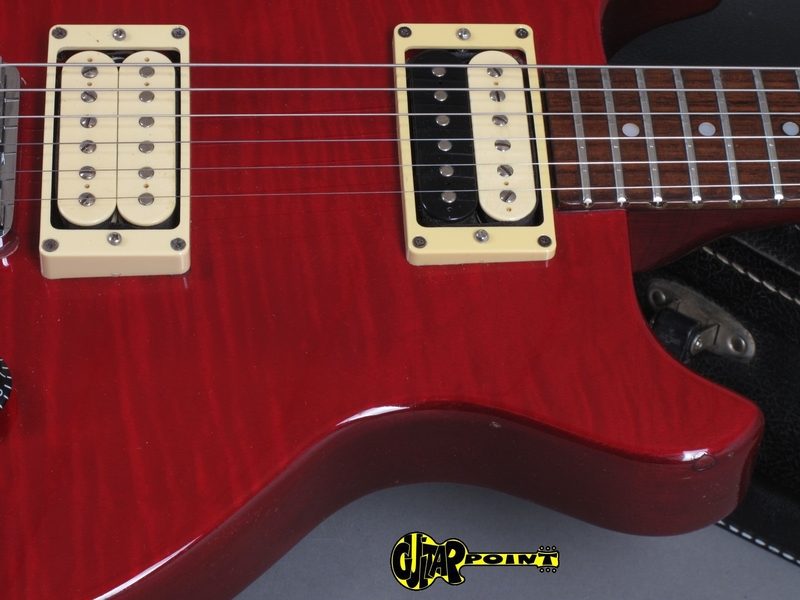 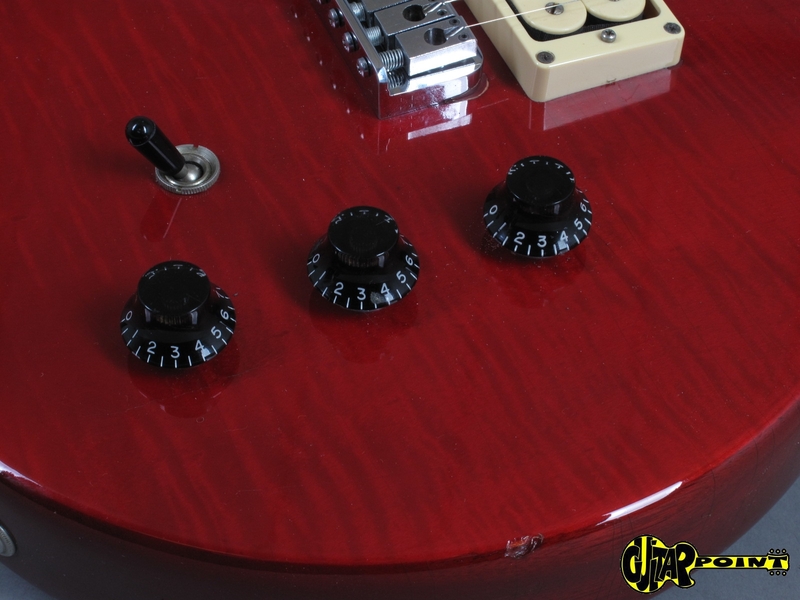 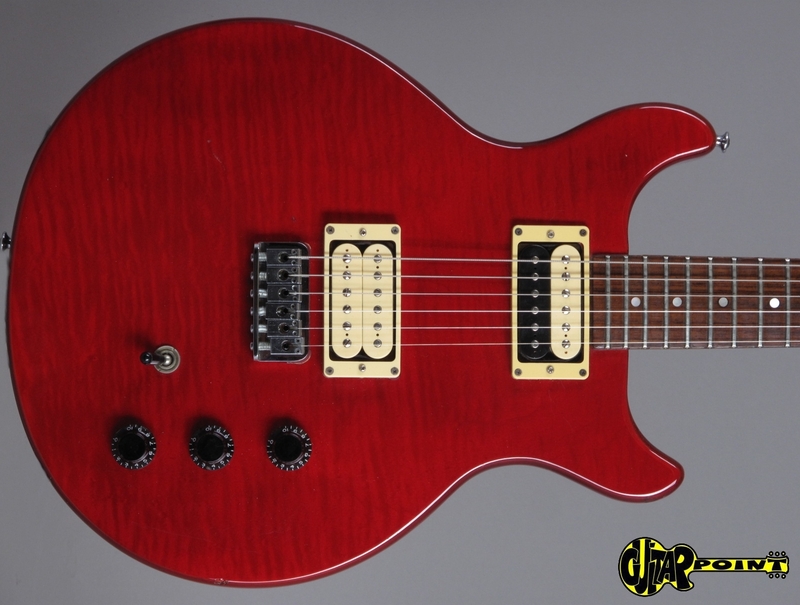 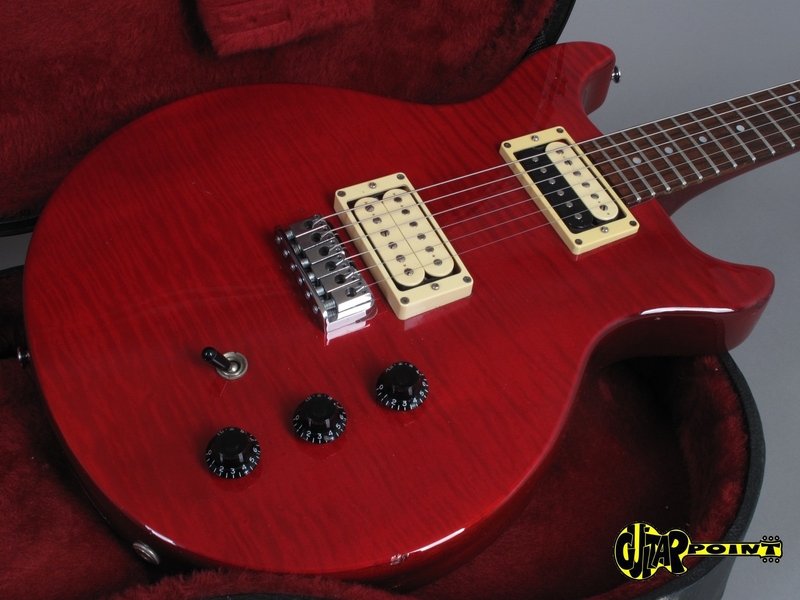 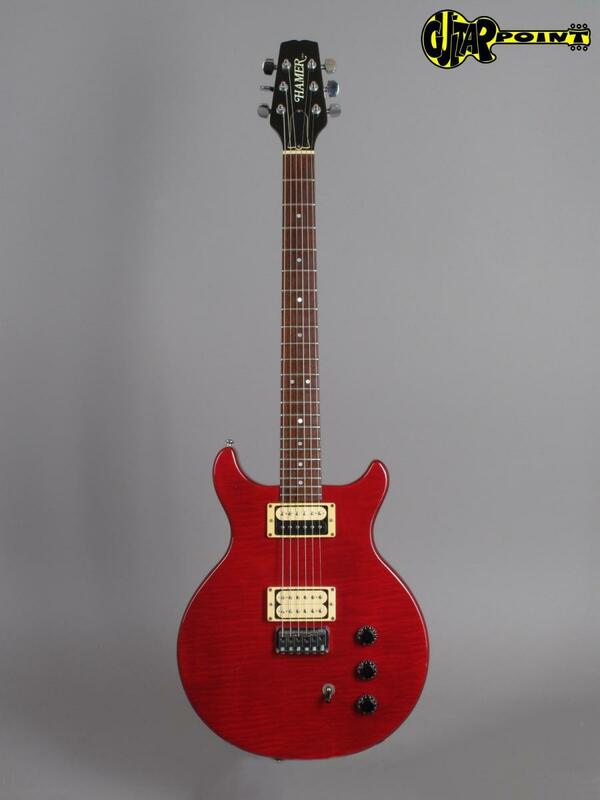 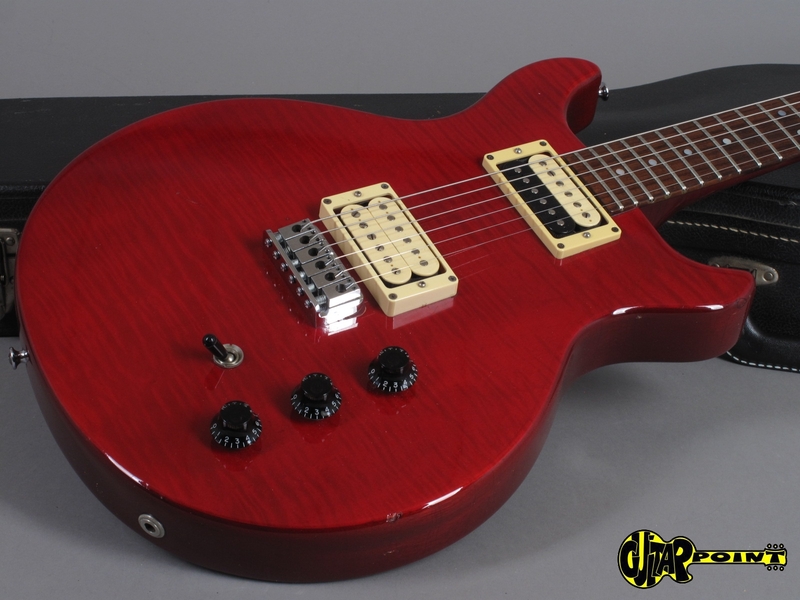 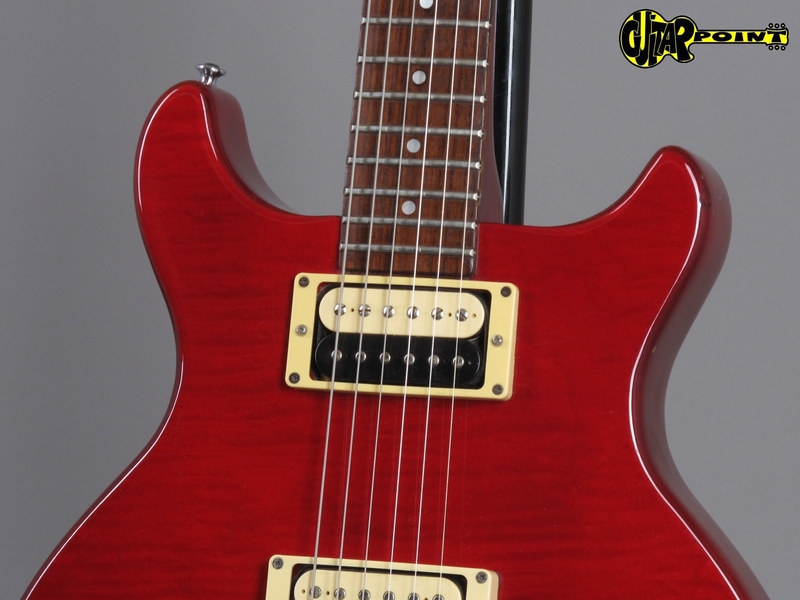 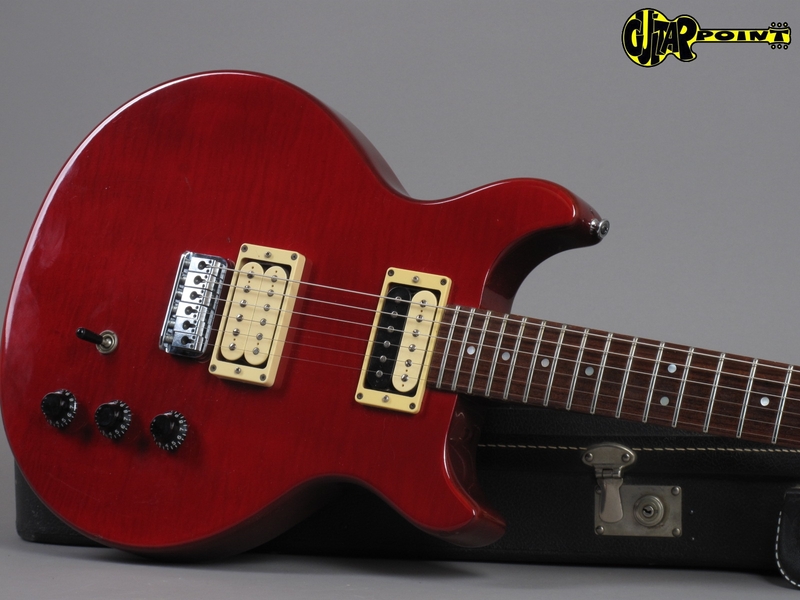 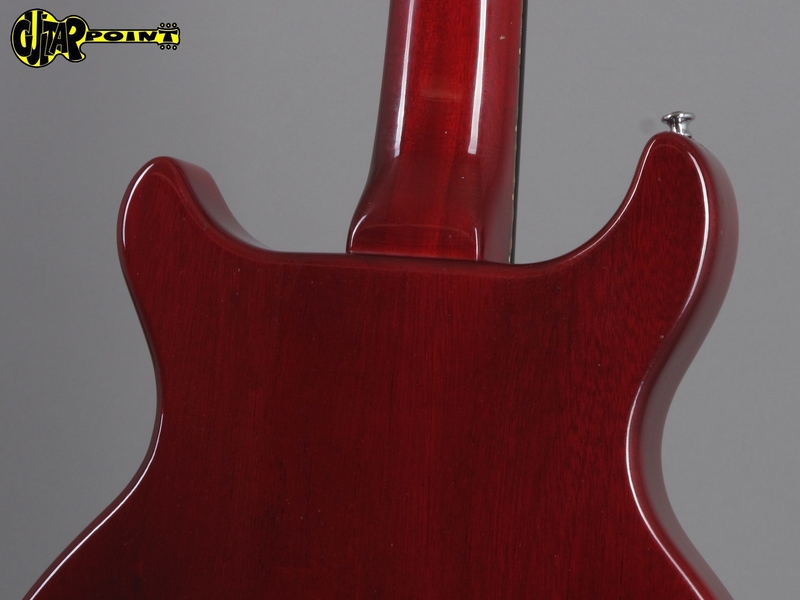 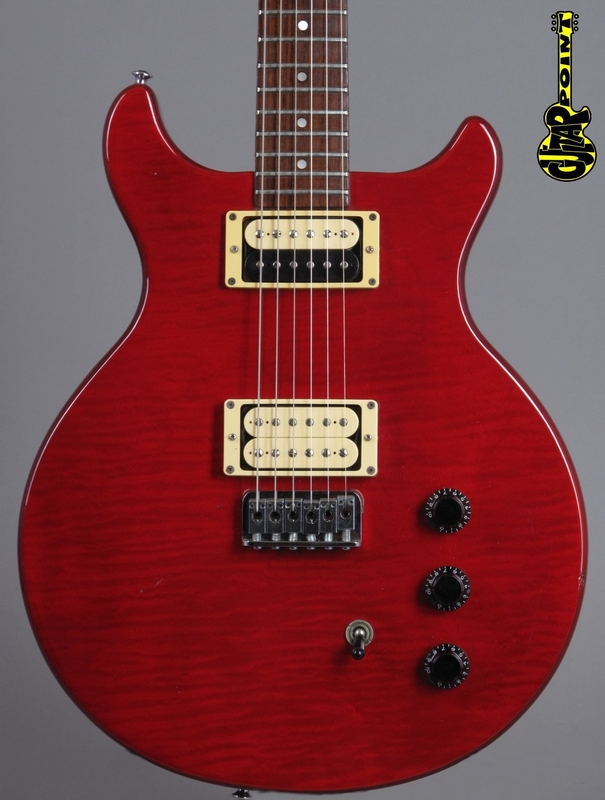 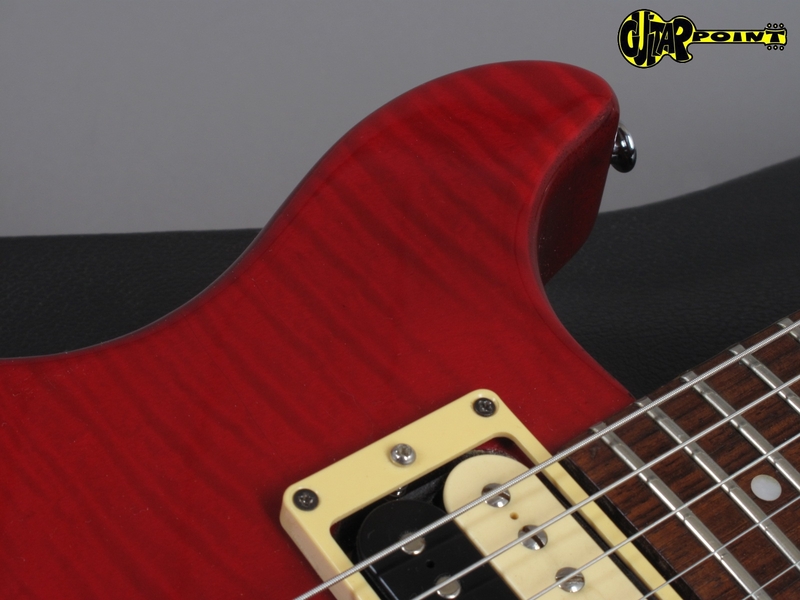 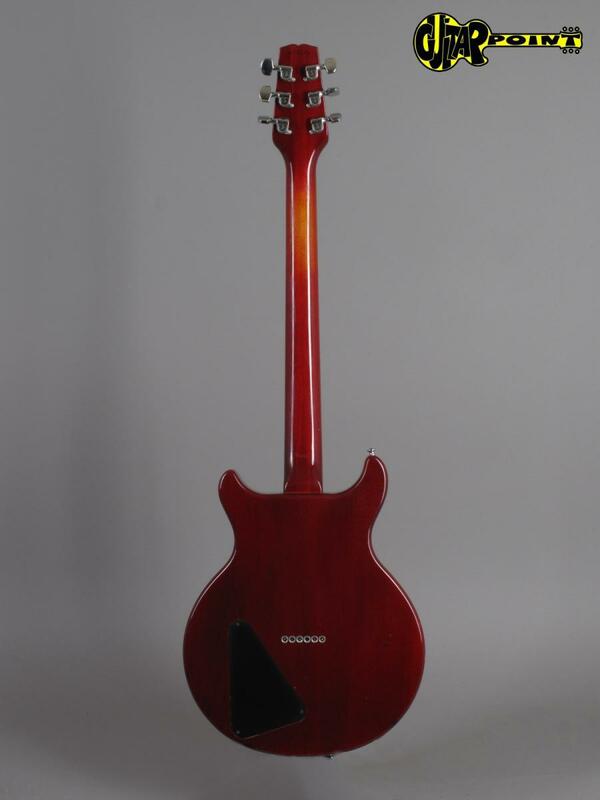 Clean 1980 Hamer Special in Cherry finish. 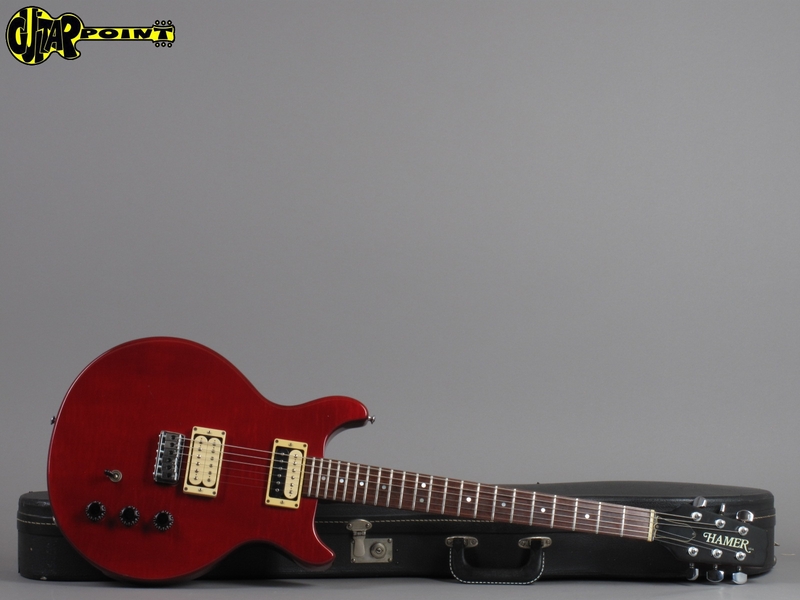 The instrument is al original and in excelIent condition for its age. 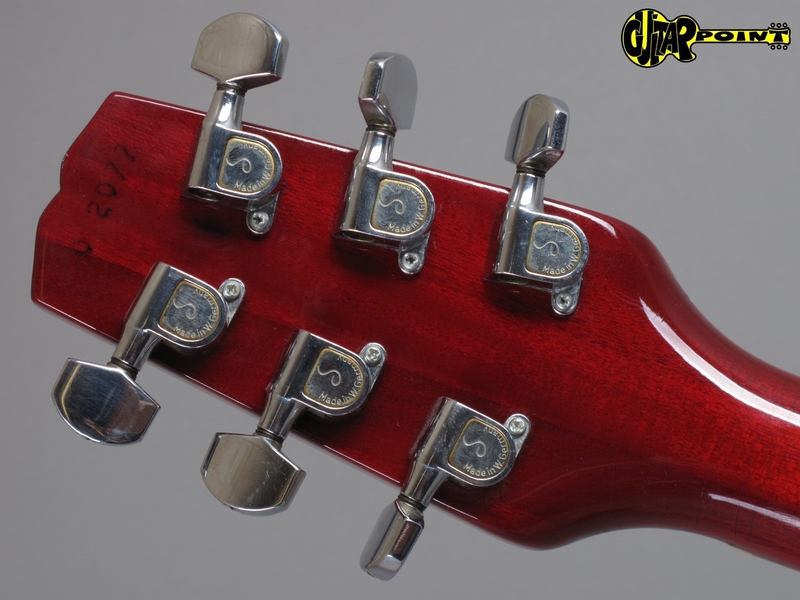 The guitar has some minor playwear and a couple of dings and dongs, but no cracks or hidden damages, the original frets are still in great shape. 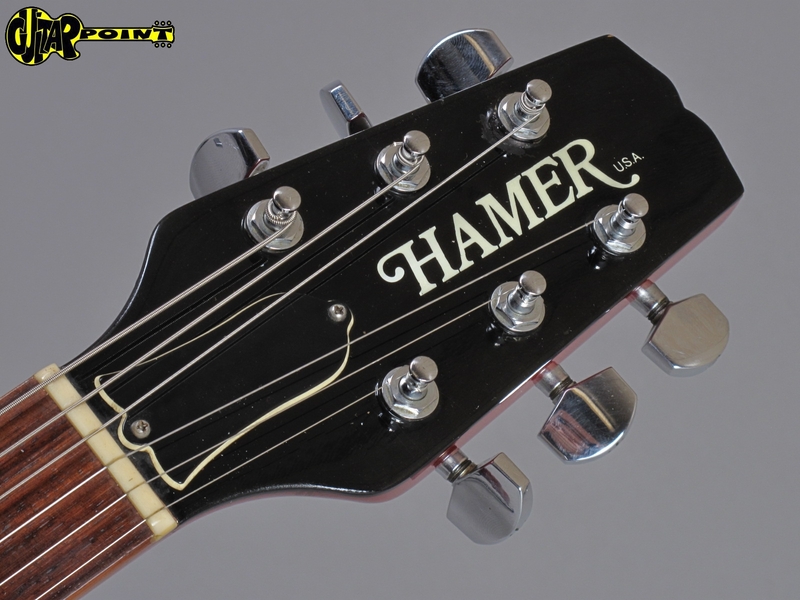 Compared to its brother the Hamer Sunburst, the Special does not have a body binding. 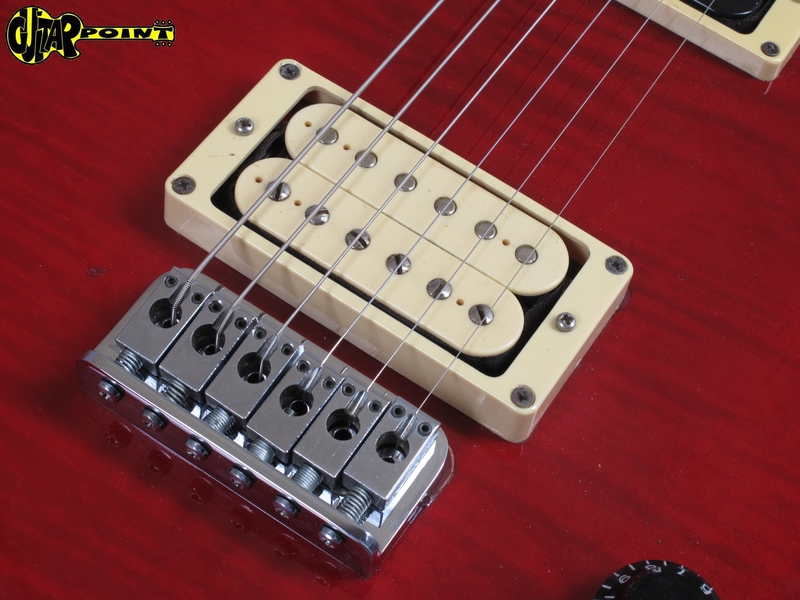 The original DiMarzio humbucking pickups, sound really good in combination with a set neck guitar with a mahogany body. 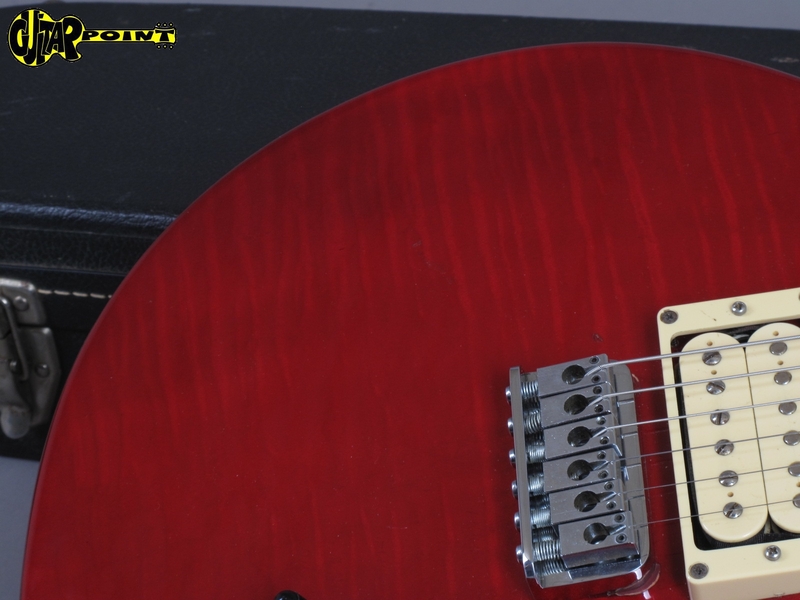 Nice light-weight and very comfortable to play. 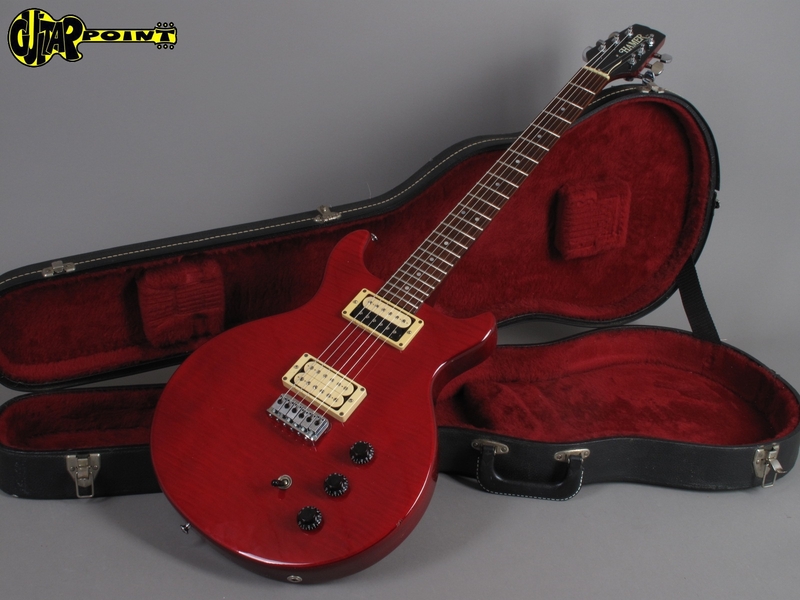 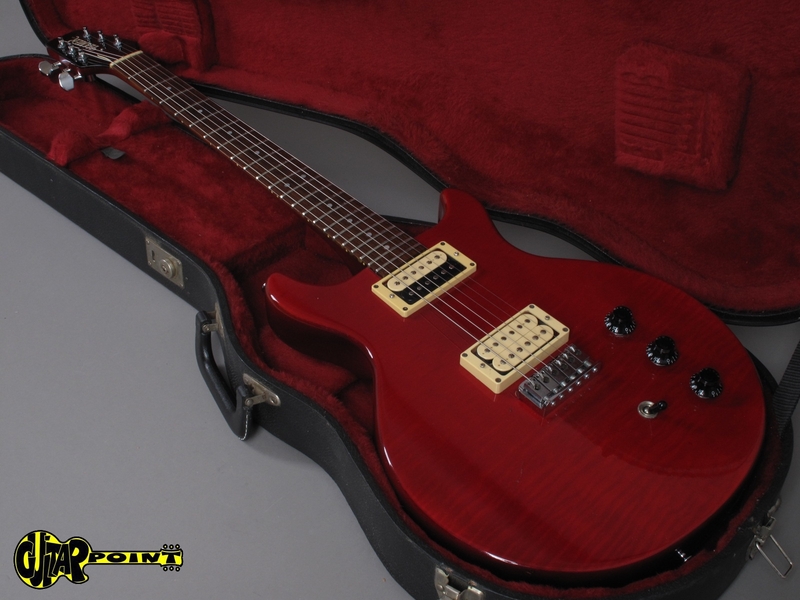 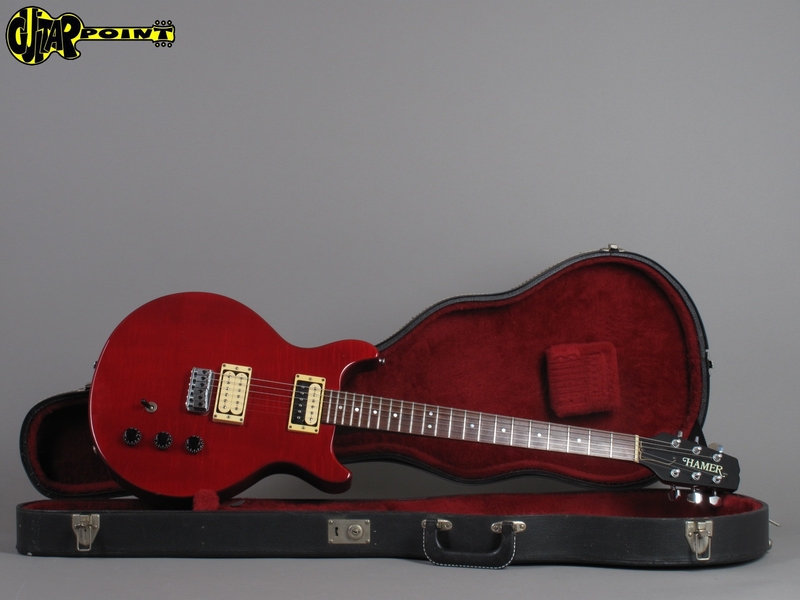 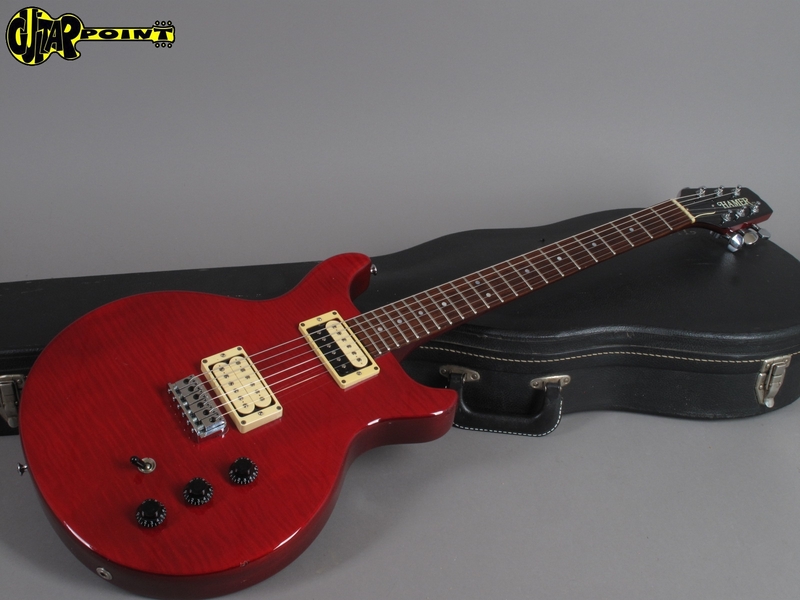 Comes in it´s original black hardshell case with red plush.